Update If you are using OI hipster most of these steps won't apply but some of the unmangling and compile options may be useful. When node.js is ran on IllumOS based kernals it has the additional benifit of DTrace. The default operating system normally choosen is SmartOS from Joyent but there are alternatives. 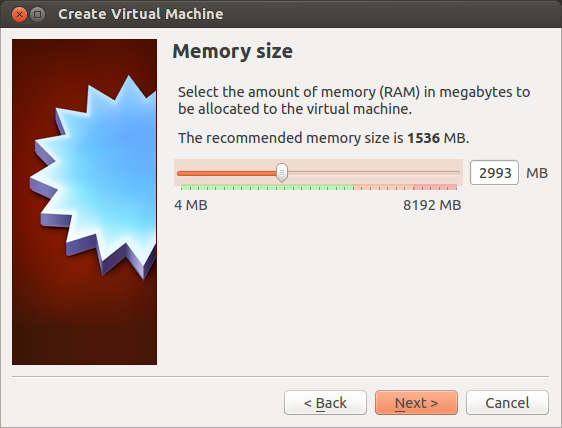 While SmartOS is fantastic for production, the development experience is not great when compared to other desktop operating systems such as Mac and Linux (even Windows for that matter) the lack of a window manager can be an impedance. Testing - Greater potential for tests to fail during integration test leads to increased development time. So I have been using Openindiana in my development workflow to ensure I am as close to the deployment environment as we possible while having a sane development experience. Openindiana is an IllumOS based operating system with a Gnome 2.6 GUI. OpenIndiana is one of the most understated operating systems out there as it gives access to the power of IllumOS tools such as DTrace and ZFS but within a sane desktop environment for additional development productivity. When you finish this article you will be able to develop node.js applications on a desktop operating system which is closer to a SmartOS environment than any other desktop operating system out there today. So with no more ado on with the tutorial. 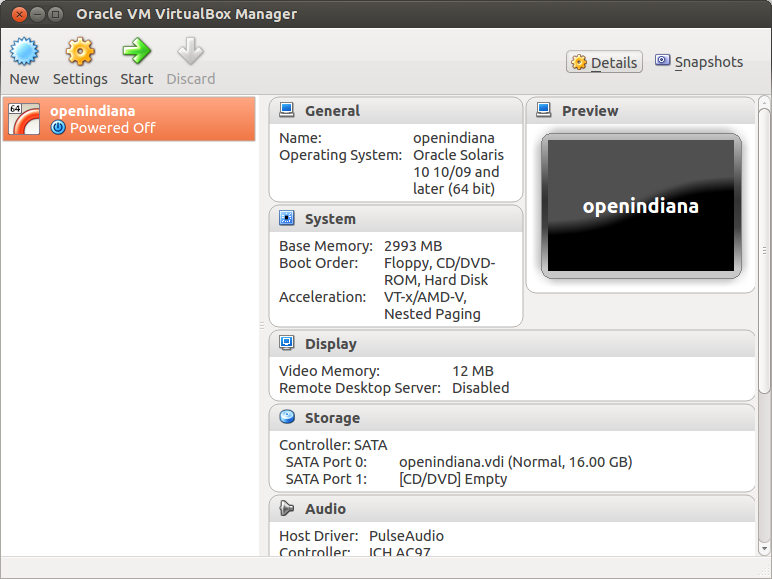 I personally run OpenIndiana on the bare metal of my office machine but as you may just want to put a toe in the water tot start I am giving step by step Virtual Box instructions. 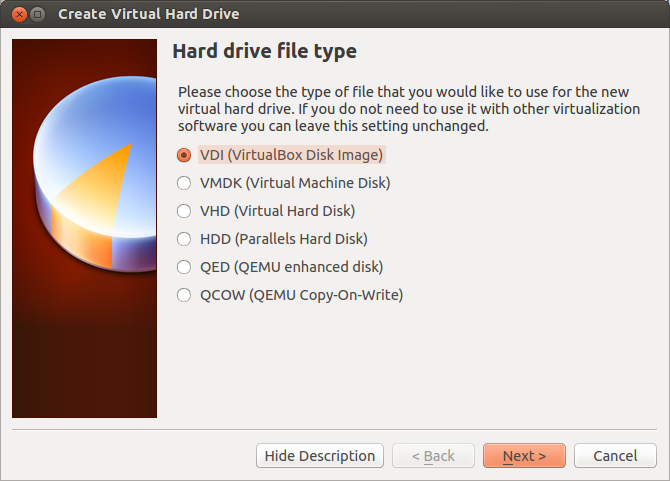 Ubuntu is not a prerequisite as any operating system that supports Virtualbox can be used but as installing virtualbox was a little trickier than expected on Ubuntu it is have included it here. 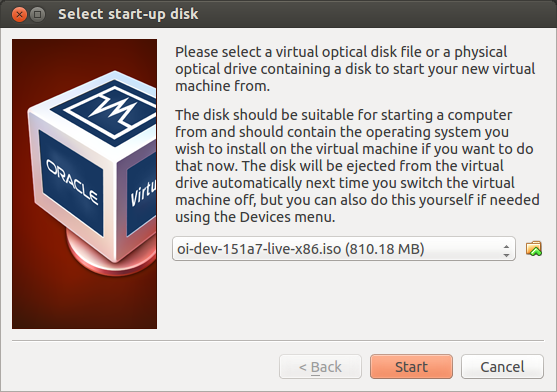 OpenIndiana can of course be install onto a physical machine and if that is the preferred option then create a bootable media (CD/USB) from the ISO provided and join this tutorial at step 10 below. Install the ubuntu prereqs that enables the additional module build step at the end of the virtualbox install. Download the latest iso for OpenIndiana http://openindiana.org/download/. The OpenIndiana Build 151a7 Desktop DVD (32/64-bit x86), 811M was used for the steps that follow. Select location and size of the device. There was issues with the default here so make sure to give it plenty of space. When you select start you will be prompted for an ISO. Use the one you downloaded in step 1. Select the first option in the boot up screen. You will now be presented with a desktop. 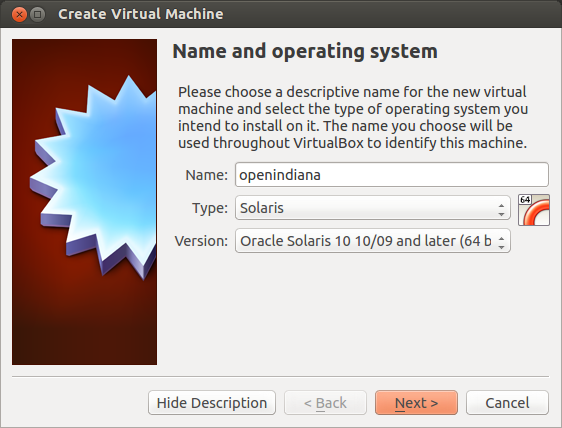 As you are in effect running a live CD you now need to install the OS onto your virtual hard drive so click the "Install OpenIndiana" desktop item. Create root password and add a user. It is strongly recommended that your create a user along with root. When the machine reboots do make sure that you select "Boot from Hard Disk" instead of the default option used in Step 10. Now the operating system is installed and you have logged in as the user create in step 18 we need to configure it to build node.js. The following steps are executed at the command prompt as the logged in user unless stated. Currently gcc is not appearing in the package manager. Only use --dest-cpu=x64 if you have a x64 architecture. The command isainfo -k will return amd64 if you do. //installed to allow for multiple environs and easier upgrades. There is a support file in the src folder of the node git checkout that needs copying to the dtrace folder so dtrace can observe node.js. The default firefox is version 3.6 you may want to download a later version from unixpackages. 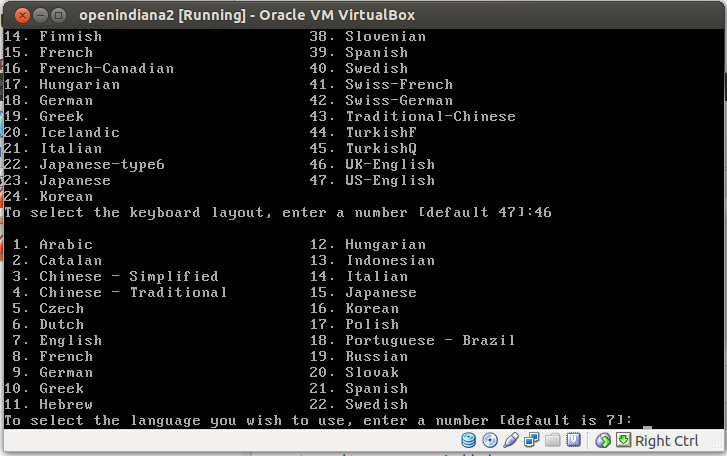 Open Solaris version 21 was downloaded as a tarball and works well. Now that you are fully setup you should be able to run through the famous flamegraph article. Until next time. Code On!